I feel as though I’ve been moving away from the original intentions of this website, and that is linking you to interesting builds from around the world. 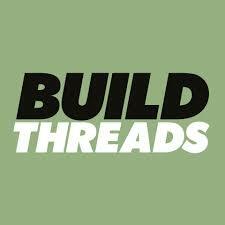 What I mean by that is, I think the site-hosted builds like the Ferrari F40, Honda City Turbo II, EG Civic/S15 Silvia, and my own garage build have distracted me from posting those unique threads from various forums. 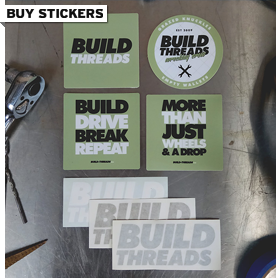 Not that those builds aren’t interesting – and they’re a hell of a lot more work for me to set up – it’s just that this site was built on finding and sharing builds from external forums. 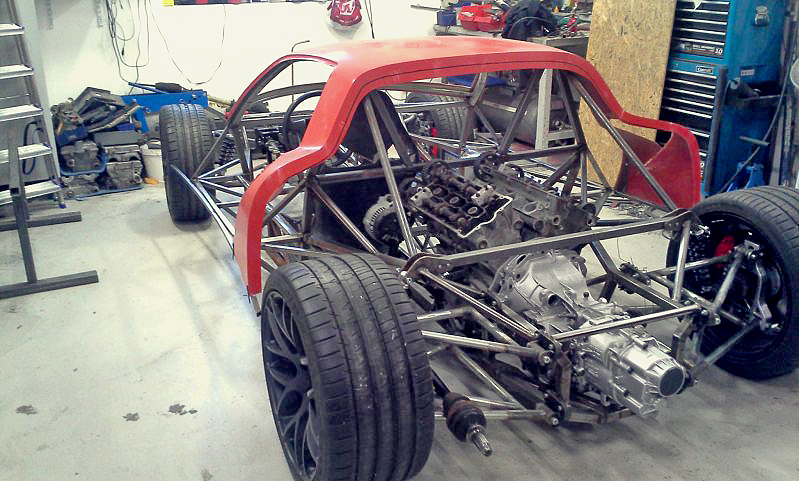 So here we go, back into the swing of things with a completely custom built car from Sweden. The fiberglass body is influenced by 1970’s race cars like the GT40 and Lola, with a 3.2L Alfa Romeo V6 for motivation. Thanks to Håkan for submitting, this is his own build. 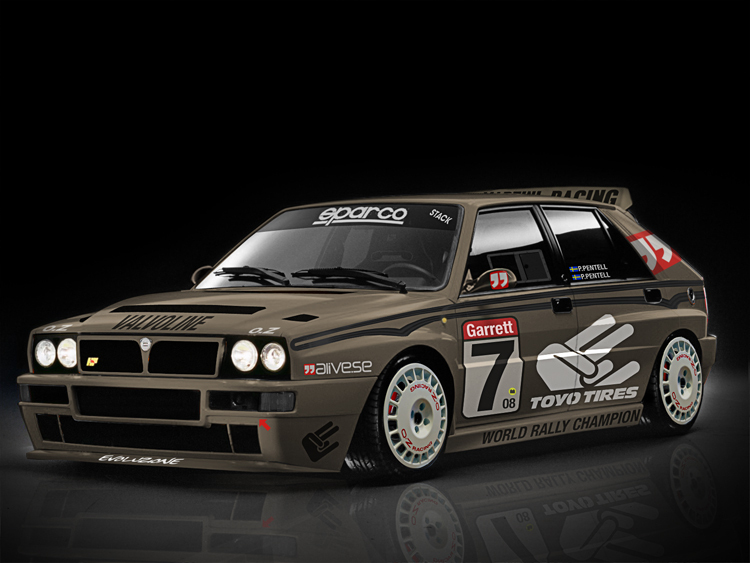 The Lancia Delta is a car that I personally imagine to be on similar ground to the E30 M3. By that I mean that it seems to be almost universally loved by car enthusiasts the world over. 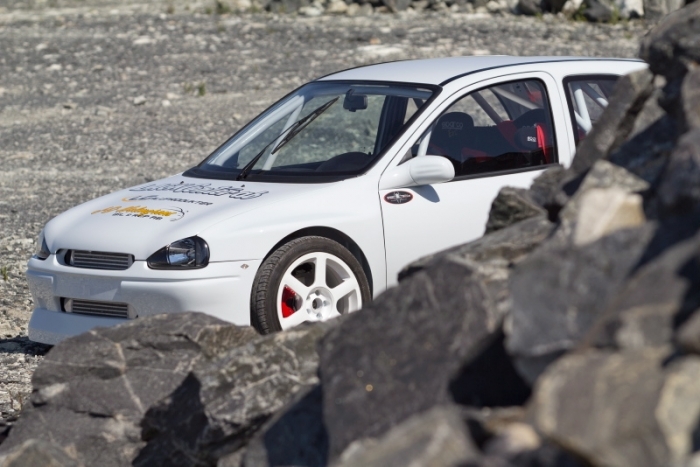 Maybe not as much as the BMW, but there are no shortage of people who will declare their love for this boxy hatchback. First up I have to say a huge thank you to Maccan from www.alive.se for not only submitting this build but also giving me a bit of a run-down on the project since the whole thread is in Swedish. The car is being built for track duties, with a custom bodykit being moulded out of carbon & fiberglass, with lexen windows continuing the lightweight theme. 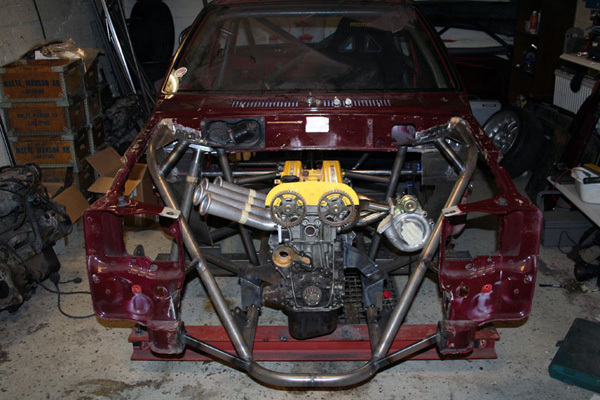 Underneath, there are plans for a flat floor and rear diffuser to try to keep it stuck to the ground. The engine is fully forged & balanced with a rear mounted radiator, aiming to produce around 550-600bhp when it is completed. The actual project is not finalised yet, so peep the thread and check back for updates.